Families looking to get travel insurance and jet off for a summer break could find that well-established destinations provide everything they need for a successful holiday. According to Ian Bradley, from the Association of British Travel Operators, places such as the Costa Blanca and Sharm el Sheikh are good holiday destination choices for families. Brits going on holiday with their partner and children may also find group travel insurance a wise choice, to make sure that incidents which may effect any of the party are at least partly covered. 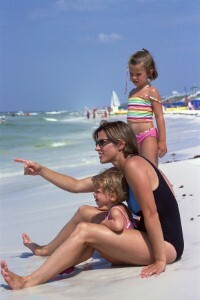 Mr Bradley noted that such destinations could offer good value for money for families. "Generally speaking there is normally very good capacity to these places, so you can get fairly good prices in terms of accommodation and flights," he said. Monarch Flights and Holidays recently released a survey of its top selling destinations, with the Costa Blanca coming out on top after seeing a rise of 216 per cent in bookings year-on-year.